What do you bring to the game? Business is a game. If you’re in it to win it, then your success depends on the value that your clients see in your business. A common business adage is “Price is what you pay, value is what you get.” In order to be successful, you first need to identify your particular value, and then you need to properly convey your value to current and potential clients. WHY should your ideal customer purchase from you rather than anyone else? In order to choose you, your ideal clients must be able to quickly understand your unique value (what YOU do better than anyone else) and why it should mean something to them. More than ever, clients want relationships they can trust, relationships that add value to their lives. Your UVP defines the intrinsic worth of the service you offer your clients, and defines what they will get for their money. Your value should be such that clients not only want to return to you when they need your particular service again, but that they want to become your Brand Ambassador and your best marketing tool. Once you have determined your UVP and crafted a value proposition statement, you need to effectively communicate that value to everyone who will benefit from your services. Internally, your partners and employees need to know the company’s UVP. Every employee needs to identify with the UVP in order to be a good fit. Externally, your clients need to know your UVP. You must convey your uniqueness to your target market through an outbound message. In crafting your outbound message, keep in mind that everything from your logo to your social media campaign needs to be consistent with your UVP. If you think that your value is “physical therapy”, we ask you to consider this: What is McDonald’s value? The quality of the food? The amazing customer service? The ambiance? No. McDonald’s value is that it is fast and inexpensive. Their ideal customer is someone who identifies with that UVP. Your UVP is the thing that sets you apart from all of the other options out there. Your ideal clients will find you when you clearly express what is unique about you and the services you offer. Ask your best clients, “What was your experience?” “How did you feel when you received physical therapy here?” “What stood out for you?” Use their words. Get involved with and understand your clients, tune into what they want, know your strengths and build from them, and clearly define how you will improve your client’s life. Absolutely love the inaugural post!!! One of the concepts I frequently talk about that goes along well with the UVP concept is relevance. In today’s healthcare atmosphere, individual providers are often cutting one another down or trying to assert themselves as being greater than another provider. This is also seen to take place between individual disciplines and be and be quite counterproductive at times. In the end, what this ultimately ends up hurting is the consumer or the patient that needs is most. This is the same person who also helps us derive our livelihood. Rather than focus on derogatory attempts to assert one’s business over another, I began to focus more relevance. My goal everyday is to be relevant to the clients I’m seeing. What this is done is create a success cascade in that patients who are treated positively by my services are my positive advocates and my referral sources. I strive to be as relevant as possible. If I find that the client is not right for me or my skill set, I will freely move them along and help them find another provider. I’ll do everything in my power to get the right person aligned with the right provider at the right time. I do firmly advocate my business, however I do it in a positive and professional manner. What are the roles and my job is now giving tours to potential clients. I freely give 3 to 4 tours a week and at the end of each tour and encourage clients or potential clients to go look at other clinics and determine where the right fit is. I even gotten a request to help people find clinics when they know that I’m not the right person for them. I will happily oblige in this and get the right person set up with the right PT. In a day and age of healthcare and uncertainly, being relevant will ensure that the right person find you. Rather than set up a fear based self fulfilling prophecy on the doom and gloom and health care, I prefer to focus on being as relevant as possible. What this provides is job security regardless of speaking in terms of organization, profession, geographical region, or practice type. That positive attitude comforts my ability to engage with my patience and not focus on my bottom line. My patients ultimately sustain my practice of therapy . I encourage everyone reading this post to consider how and are they relevant on a daily basis. Being relevant in your own way is your mechanism of positively asserting value to yourself and the clients you serve. Make certain that you’re unique value proposition starts with the individual you look at in the mirror. I think that the danger that physical therapists face (when first going into PP) is that they take on every client, believing that “some patients are better than none” and “when I get busy then I can afford to be choosy.” Nothing could be further from the truth! We need to start out with the knowledge of our UVP and then market to our ideal clients right from the start! I do the same sort of thing that you described: I offer free 30 minute consultations to clients referred to me by the network of personal trainers and therapists I know. That way, we can talk about their issue, I can ask how I can help them, they can see the office, and they know my value before they even schedule an evaluation. If they would be better off with a different provider, I make recommendations and give them contact info. If they need to go through their insurance for financial reasons, I point them in the direction of a good PT insurance based clinic. We can all serve as a resource for patients in our community and in the larger scope of healthcare! I believe relevance has to come first from ALL Physical Therapists educating the Public and Legislatures about our role in Healthcare. If we dont establish the relevance of PT then its gonna be harder to do what you and I are saying. Great post Jerry and Ann and Brian always grateful for your insights. Determining your unique value proposition is indeed the foundation for every successful business. It helps to build brand loyalty. With brand loyalty as private practice owners we have to be consistent in providing quality rehabilitation and wellness and excellent customer service. One of the challenges I’ve faced starting from being the single PT provider to having employees is sustaining the quality of the brand. Jerry made a very valuable point in that all employees must buy into the UVP. Not having the right fit can derail all marketing efforts. If the owners & employees are not consistent with the UVP that business will be in trouble. Giving tours/free consultations I liken to a test drive when shopping around for the best vehicle for you. You want that future client to feel confident and comfortable that the value they will get will be more than worthy of the investment of their time and money. That’s when the start of building a personal relationship matters most. Most clients are nervous when making commitments & you want to start of a relationship on trust. Brian and Ann, my business partner pointed out to me that if a competitor begins a relationship with a potential client by only talking negatively about another business instead of focusing on their own strengths/value to wow/win that client, then the client who falls for that competitor is not your ideal client. Ann I think most of us get greedy by accepting all clients thinking being busy means being profitable. A lot of us accept to provide to mediocre insurance because we think one lousy payment is better than no money. The main reason being is because we don’t trust or believe in our own value. A lot of PP owners get caught up thinking that everything has to be perfect. You can know your worth but $#!+ happens and a lot of us have problems in recovering when that happens. Business is not about survival of the fittest, having the most expensive equipment, biggest office space and overpriced marketing team…survival depends on evolution. You have to evolve with the economic and social climate. More and more potential customers are into prevention and wellness and as PTs we underestimate our unique value when it comes to that. Clients value their time and most professionals don’t want to go through the endless unnecessary hassle of having to go to PCP/MD to get POC signed or get “orders”. Most professionals and pro-active clients want to eliminate the “middle-man” and get straight to the source. Access is making it very challenging for us to fully explore the benefits of our UVP. For far too long we have focused on just rehabilitation of injuries/illness and allowed that to solely define us. I’ll share a pitch I use…think of your body/health as a car. Do you want to wait until that car is totaled to repair it, or maintain it while you still have use of it to increase longevity? Would you take your car to just any mechanic/dealership or one that will give you the best value/return on your investment of time/money? We have unique value in prevention, wellness and injury reduction…let’s start evolving before we become extinct! I think you are absolutely right about needing to evolve as a profession. I’ve been saying this, too, for quite a while. The argument I get from other PT’s is that we “shouldn’t water down our profession” by providing Wellness services. I think this is a very shortsighted view of how the market is changing. I see the provision of Wellness services as just the opposite of “watering down” our profession: it’s a way for us to introduce the public to our knowledge and training, and help them to see the value of working with a physical therapist. And, I truly enjoy my Wellness sessions with clients! I get to focus on movement and exercise, teach Pilates to Medicare patients, and transition my PT patients into weight lifting and Kettlebell training safely! No “referrals” needed, minimal paperwork, and just pure fun. We, as a profession, need to be comfortable branching out to provide services other than only rehab of injuries. With the Baby Boomer generation wanting to stay active, we should be the professionals of choice to train movement and strength for folks with complex med/surg histories. Why do we have this Elitist mentality as a profession? It is not watering down and we need to stop. Get off our high horses…pride comes before the fall/destruction! All successful businesses evolve. Since McDonald’s was used as an example in the post, I will use them for evolution as well. McDonald’s is fast food, fast inexpensive food…burgers, fries, milkshakes. As America and the world became more health conscious and started paying attention to healthy eating…introduction of salads, wraps, low calorie meals, fruit snacks & toys in kids meal, fruit smoothies. To gain some of the coffee consumer market they’ve introduced the cafe experience but at a reduced price. Instead of a simple drive thru, to attract families they built play rooms in restaurants, improved the dine-in experience making it cosy…did they water down? No! Did they go against their values/mission? No! Did they lose focus of their brand? No!…they evolved with changing socio-economic climate. Excellent, excellent points! Great example. You don’t have to sacrifice your vision/mission to evolve…and you don’t *have* to sacrifice quality care. It’s not less than…it’s just different! one point, Mcdonalds just had one of their worst quarters. I believe that they DID go away from their UVP. Their IDEAL customer wants convenience and cheap. they reached out to others and shall we say “forgot their ideal clients. Thank you Jerry for pointing that out. I’m hoping there exist examples of companies who evolved but didn’t stray away from their UVP. As a profession I’m sure we can find ways to evolve without going away from ours. Including wellness is adding another dimension to cut rising health care cost and in that we can be valuable. Great Points! Completely agree that we have to evolve. We have more to offer to clients aside from injury rehabilitation. Wellness programs allow our clients to always been in the loop with their health and fitness needs. If they are a “patient” we give them tools to get better and manage on their own. They then transition to wellness to make sure they stay on track. If something were to change in their condition they can just as easily become a “patient” again. All their needs are met and they know where to go because they have that relationship with us. You bring up a good point – our value as physical therapists is that we can help patients, throughout their lives, with whatever their needs are. We are unique in this way! We can collaborate with MD’s and DO’s or other professionals as needed, but we are uniquely positioned to care for clients from Wellness to rehab and back to Wellness again! Alex—- You break that down and thats YOUR UVP! Nice job. Figure out the part above that makes it unique and valuable and BOOM…here come your ideal clients. Monique… Great thought on exactly what flows from your Value… your Brand and Brand Promise. (that is actually the next post!). You mention employees and clients in your post. I love it and agree, your Value has to be completely bought in by ALL your employees front to back. If that occurs then some of the later issues you mention will not occur. If everyone in the company is showing that Value then it WILL flow to clients and Providers. Then getting “POCs signed” will become a non issue. It all starts with the Value, Living, breathing and hiring for it. The rest will come. Fantastic introductory article. Jerry did a nice job of facilitating discussion and introspection into what our UVP’s are and the importance of creating a “buy-in” to this UVP. My take: Your Product + Client Experience = UVP. And yes, per Brian, your UVP should be relevant (this is so obvious it’s usually missed). Can’t agree more with Monica that in order to remain relevant the ability to adapt to changing environments is essential. Pride usually prevents evolution as a relevant clinician. The more you know, the more you don’t. It’s of unequivocal importance to know what you have to offer and what you don’t. Then build your UVP around your strengths, and shore up your deficits. Stay relevant, and evolve. Agree with everything you shared, Jason. So, the question for everyone is: would it be useful for our next article to focus on HOW to write your unique value statement? Or it could even be how to identify your UVP (maybe this is related to your proposed topic). What is your edge? Why is your product worth the client’s time? How unique is your edge? I imagine this to involve an exercise of brutal self-honesty into one’s strengths and deficits. Maybe we need to step outside the sphere of PT and take an outsider’s view. As Marshall McClune said, “whoever discovered water, it certainly wasn’t a fish”. I’d love to read an exploration of how one identifies their UVP. It was very helpful to me when I started my business. It helps you to figure out exactly who your perfect clients are, and how to market to attract them to you, versus running around to try to find them. Jason…. The best source is current happy, patients! They have all the answers as mentioned above. If you are just beginning then YOU need to decide. You know what current practices offer and you can probably figure out what their UVP is….or talk to some of their pts! You have to decide WHY you exist (channel Simon Sinek, Start With WHY”.You tube http://tinyurl.com/mecj7rr )If you know WHY your practice exists then you will have an easier time with your UVP. This may have nothing to directly do with Physical Therapy. The UVP for my company is “we create Happy Patients”…..
My thought is as you “adapt” you have to be true to your UVP. That should be posted everywhere for everyone. As you grow you have to make sure what keeps YOU unique always remains. This is why I love the public markets. There’s just so much to learn. Jerry, you might enjoy “Billion Dollar Lessons” by Paul Carroll & Chunka Mui It’s on my reading list. Great initial post! Timely too, as I just had a conversation about this with Tannus Quatre. We were discussing the concept of “value” and value in physical therapy. More specifically, value that consumers get or perceive from their physical therapist. As we talked, something resonated with me about our profession and its place in the eyes of the consumer. Do consumers know the “value” that PTs bring to the healthcare world? I don’t think they do. In fact, I think some of them perceive PTs to provide less value than some of our healthcare competitors like chiros, massage therapists and even *gasp* personal trainers. I say that because I feel like those providers have more consumers willing to pay cash for their services than PTs do. What is driving that behavior? What is the UVP are PTs missing when marketing to the healthcare consumer? My feeling is that PTs should be at the head of the line in messaging value. Our UVP should be that we can do EVERYTHING that chiros, MTs and personal trainers can do….and usually all in 1 visit. What are we missing in our messaging to consumers? Why can’t we get our UVP message to consumers? I feel like I took Jerry’s topic off into a slightly different tangent, but I feel we can all benefit from getting the physical therapy UVP into the minds of consumers. The question now is how? I don’t think you took it off on a tangent at all! You are exactly right! Even IF we have an awesome Unique Value Statement, it does NOTHING for us if potential clients don’t hear/see/feel it! We have to get our message to our consumers! Everyone “in house” in your biz needs to know the UVP and be on board with it….and then you need to SHARE it in a meaningful way to convert potential clients into actual paying clients. All the evidence in the world is MEANINGLESS if we have no patients coming through our doors. THIS is where we are failing, IMO. We need to get people in the door, and then WOW them with our skills, knowledge, evidence, critical thinking, customer service, etc. This requires a shift in the mindset of most PT’s…for too many years, we have been sold a lie that if we have better evidence and we have a doctorate, then the public will naturally think of us as superior and flock to us. It hasn’t happened. 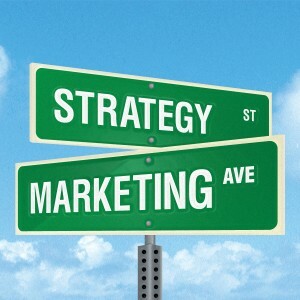 The reason that people flock to Chiro, massage, personal trainers is that THEY market well, AND they have Direct Access. It’s time for us to change this mentality that we are superior and everyone else is inferior. We need to learn from WHY and HOW other professions are successful. It’s absolutely asinine some of the reasoning I hear from other clinicians. Sometimes I wonder if we are a profession of sheep. We have morphed a cult-like mentality believing every word from the so-called experts. Come on owners…be thinkers, have a panoramic view, look at our socioeconomic climate, listen to what people want…who are the money makers?…the fitness industry, the “free people from pain” industry. Even with access, we have to be approachable…something personal trainers, massage therapists and chiros have over us. We have to be relatable. I have a few clients (present and former), family members & friends who follow me on twitter and something they pointed out to me was that yes they know PTs went to school and have extensive schooling but most of what we share on twitter isn’t relatable and not practical to them. Compare to accounts of chiros and personal trainers who target prospective customers, highlight their skills, inform in tid-bits about nutrition and wellness, prevention and injury reduction. We have to stop criticizing and look at what works and use that to help us evolve. We still have the secret ingredient that they all want, in that we are the ones licensed to practice physical therapy. People are hungry for change, bleeping fed up of the status quo, well I for one am and from the looks of it so is the #VisionNow team. Time to really be movers and shakers. Toughen up, strap yourself in, because this will be one bleeping bumpy ride… but this is change I do believe in. Let’s go!!! Great thoughts! I agree – the other professions (Chiro, personal trainers) are able to get inside the client’s minds and think like them – they market based on how CLIENTS think, not based on how another Chiro or trainer would think (i.e. “Want to lose fat for bikini season?” vs “Research shows that maintaining a healthy lean muscle mass…..”) We need to get inside the client’s head and make our marketing resonate for them, while still being true to our professional values and personal brand. One thing I think PT lacks as a profession is marketing skills. If you ask an ordinary individual who has never been exposed to PT where they would go for back pain, they would say a chiro. The same individual if asked where they would go with a sprained ankle would say their general practitioner. We need to make it known that PTs should be the first line of contact in that case. From personal experience, I didn’t even know PT was a career choice until my own accident! PT as a whole needs to become more common knowledge. How can we do that? General commercials? Radio? Community outreach? WOO HOO….Monique Kinda cussed in that reply! WE HAVE TO ESTABLISH THAT ON A NATIONAL LEVEL! AGREED. Check out #VisionNow … Someone saw that need and is beginning a program to establish that Value. Great post and comments. My take away is that you shouldn’t see every patient as “your” patient. Collaboration on a local level is nonexistent in physical therapy. However, we have to acknowledge that skills are different from clinician to clinician–this includes personally and socially. If you can’t help a patient, you should do everything to get this patient to the clinician that can help (physical therapy or otherwise), and see this as PART OF your UVP. Monique brings up some great points about “watering down” the profession. Doesn’t accepting payer rates less than the cost of doing business water down our profession more? Accepting such low rates requires more patients to be seen which in turn requires a higher volume to be seen in order to make ends meet meaning less time with a therapist. This sounds like watering down to me more than a cash contract with a patient to provide 1:1 wellness and/or physical training. Physical therapists have the unique skill set to help a wide variety of clients whether it’s for pain, mobility, strength, wellness, etc. Your UVP and ideal client should certainly take these things into account based on what you are good at and what you enjoy doing. We all need to ask the question: what’s important to my life, my business, and my profession? You are spot on with this statement! THAT could be an AWESOME Post…..
not everybody is your ideal client…… when you admit that (thats takes acknowledgement and letting go of the ego) you will grow your practice by putting all your time and energy into the people that will help grow it for you! I heard a great & timely line this week while discussing our ABN. Our lawyer offered that Medical Necessity is an arbitrary amount set by a payer, while Medically Appropriate is defined by the Professional. Trouble with our evidence is that it’s useless unless anyone knows who/what we are. As pointed out, National direct access would help, yet not if the masses are unaware of the profession. If we continue in the elitist model of ‘restoration’ others will trump us w Wellness. You don’t wait until all you may eat is Jello to see a Dentist! You change your oil every 3k! Why is MSK via PT different? Every body needs a (Physical) Therapist! “Be Appopriate & Relevant.” < YES! Agreed! This is what I mean by getting into the client's head and anticipating what they need before they even know it on a conscious level...Apple is brilliant at this - they convince us over and over that we NEED something we have never even thought of before! I second the appropriate and relevant statement. If we love and care about our profession so much we have to be willing to make changes, to let go of old-ways and the unhealthy reliance of being only restoration experts. If we don’t have the right perspective and understanding of our own value then we cannot explain/express that to consumers. We have to buy into our value so that we can get more out of our relationships with consumers and get into their minds as Ann puts it. I must say I’m encouraged by the post and comments. Keep them coming. I believe Brian just volunteered to be on the #VisionNow panel! Remember as you talk about the larger group (PTs as a whole) you the biz owner still needs your UVP! As the public becomes more aware of PT they will still need to find the clinic that is a fit. Think of someone looking for a hamburger right now. How are they making that decision? Convenience?, Taste?, sides?, wait time?, etc. Congrats! Great thoughts in PT minds. This must be the way to fix our own values inside and outside our business. Health management to grow. Regards from the other side of Atlantic Ocean. Thank you, Pedro! Where are you, and how do you market to your ideal patients based on your UVP? You’re welcome, Ann! I’m in charge of my own clinic in Salamanca (Spain). 20 years of experience in health management, rising from a little place offering PT in a one-by-one mode, and developing nowadays to a medical clinic including several specialists such as orthopaedic surgery, endocrinology, plastic surgery, ophthalmology, podiatry, and of course, physiotherapy: http://www.clínica-fisiomed.com. We do find our UPV in a range based on our client/patients´ views, so we make a satisfaction survey twice a year for our quality certification, and answers are conclusive and fixed to our M-V-V: experience, personal empathy, punctuality, and over all, satisfaction over results through patiens´ eyes. A plus: right today a Californian student at neuroscience fellow program in Salamanca University has chosen us to find it easy, clear and fast to communicate with her PT (me!) so language is one of our UPV. Techniques, methods, uncountable registered names of already developed ways of PT treatment do not give us a plus as patient wants high quality and results. Over all, respect to other colleagues as I ask for it too! Congrats again for this amazing conversation. Can you talk a bit about how you have grown your clinic in Spain? Do the other healthcare providers (doctors and surgeons) work for you? Are you all partners? Is there any difficulty establishing physical therapy as a valued part of the healthcare team in Spain? Any insight is appreciated! This was the very first PT clinic to be opened in Salamanca, a 300.000 population University town in Spain. Renting was the selected option. Physiotherapy had just begun to be known as an additional private service while oldest clinics where traditionally directed by doctors offering old techniques and a last century gym which seems to be a torture room rather than a treatment one (sorry for the comparison, but it is totally true). But things were going on right: increasing patients, services, reputation, and good results. Maybe something to do with continuous learning, a master in health management, PT doctorate and not loosing the goals: great mix for attending the three basic rules (my view) to help your PT business grow. After two years, the clinic was pretty small and a change was necessary. We needed much more room to attend properly our customers so I decided to buy the nowadays place were clinic is established: a 500 square meters place with a comfortable gym, individual cabins for treatment, open concept reception and much more place to develop my new goals: why not sharing services with other health care professionals? And this is it! Three different ways to offer like percentage, sub-rental, and both (with better rental conditions). I’m in charge of directing PT services, organize and manage the clinic and direct all medical procedures including surgery, visits and marketing. It sounds weird to some traditional minds but, yes, a PT can! Pleased to share mi views with all of you. Have a great day! Great to see you here Pedro. First off thanks so much for always pushing our profession forward, especially the private practice realm, you guys are studs. I am going to read all the previous post and replies to learn more from all involved. I have 2 questions. Question one, in planning your biz, what comes first the ideal client or the UVP? Question two, does your UVP truly have to be unique to be successful or can you just do what others are doing only do it better? In my experience, I determined my UVP based on a number of exercises that guided me through what my ideal client looked like, what I wanted my business to look like and what I felt was unique about me/my biz specifically. It all goes together, really. I believe that we, as a profession, probably have many similar ideas about what our UVP as therapists is…yet, each therapist has a unique place in the whole. Damn Zack…..you are making me think! Great question. I have typed in 2 replies and deleted them both! The ideal client and your UVP are so intertwined. The UVP comes first….and when you are developing it you have an ideal client in mind. In a perfect world it would all come together at that point. In the real world you will survey your patients and find out WHY they are happy with you…that should align with your UVP. The unhappy patients can help you to better tweak or modify to make sure you are delivering your UVP. Over time then you will continue to refine the ideal client. As far as number 2, I want you to answer that. Even a company that you believe does not have a UVP or is just copying someone else, has a value they bring to their clients. If you are doing what someone else is doing AND doing it better….Thats your UVP!…the stuff you do better. and in that case think Physical therapy! Great questions Zack….you are gonna graduate with an honorary MBA along with your DPT. Why do patients name their chiro by name, massage therapist by name or their personal trainer by name….but, can’t name their PT? Is there something psychologically those guys are tapping into that we are missing? Yes, I believe it’s the idea of “MY”…”my Chiropractor”…”my massage therapist”….”my hairstylist”….”my trainer”….this terminology suggests that people have a valued relationship with these providers. They feel like the provider is “theirs.” And they are, for that time they spend together. I believe that we need to create these same relationships with our clients…we need to stop thinking of them as “patients” that come to us for a specific problem and then get “discharged.” We need to develop the relationship so that it lasts a lifetime, so that they come back when they need us, or call for advice or recommendations. We (as a profession) need to start treating our “patients” as “customers” and “clients” because that’s what they are! Such a great point about “discharging” patients. I love that! I have thought this way from becoming a PT. In that position I started personal training but I never connected that thought until I started going into the transition to cash based clinic. its called Evidence Based Business Practices. Including Marketing and sales. All the info is out there. We need to acknowledge that it does apply to us and use it! Treating clients one on one plays a huge role in having them think of you as “my therapist or my PT”. Far too many people complain that they feel like they don’t get the proper supervision/quality time with the therapist. I jump on every opportunity when asked by my clients why I chose to do home health and why I only see one patient at a time in our outpatient clinic. I preach to them that I value their time and want to give them my undivided attention and the best care they deserve. I state that I want them not to feel rushed and feel comfortable because we have to build a relationship of trust. I thank them for choosing me as there are a lot of options out there and I will work diligently on surpassing their expectations. I give them my cell phone number and email and let them know they can reach me at anytime. So far all my patients know me by name and even after discharge they reach out to me. It’s all about building a solid relationship by showing our customers value. Value is the key word right now in our individual practices and in healthcare. Couple of observations. First is that we find a lot of paradoxes here as we do in life. Of course there is competition – that is what drives any business to get better, to have to raise the bar. But knowing where collaboration is smarter is a key to delivering value. No not every client is your client alone but you do want to create serious loyalty around your clients. Around you UVP – remember that Value indicates or demands that you are not just different in the marketplace but PREFERABLY different. Which leads to the reality that what the customer says/wants (as in what they want) is the be-all in determining your actions or strategies is fools gold. This also is a paradox of sorts because yes to a degree it is true that we have to listen to customers however customers view things historically and not futuristically. They also only have a limited view of the total picture. You would not ask a pt to determine their plan of care and so it is true also of them when determining your business model. Input yes but part of the genius of Steve Jobs was he created beyond what the customer could see. None of us saw the i-pod or i-phone or i-pad as a solution – but they solved problems for us we did not fully understand. Delivering value takes innovation, input, adjustment, and the ability to deliver above and beyond in a preferred manner consistently. BTW what is Value from the pts point of view? Answers i often get are our view of value. Do pts understand enough to know value before they experience it?? Always more questions than answers. This is a great read. Thank you Jerry and Ann. In digesting all of the posts and replies, I am brought to this evolution of thought. If I have a UVP and am willing to spread that proposition, can I create enough comsumer evangelists? Am I able to find employees to follow? Can I do this at several clinics? Will this UVP spread to my competitors and ultimately to the entire profession? McDonald’s was fully aware that Burger King was immediately following the UVP of fast and convenient as a competitor, and others followed, creating an industry wide value. So, can private practice survive on individual UVPs alone, or do we need an industry-wide UVP to reach our consumers first, and then each find our own ideal client? To carry the analogy too far, “Yes I want fast and convenient, but do I want flame broiled or fried?” I think the Uniqueness of Private Practice PT should come first. Thanks, Jeff! We do have a unique value as outpatient healthcare providers. We also have the greatest challenge in making our voices heard among all the others who do some form of outpatient movement/massage/treatment/etc. We are unique in that we can help people of all ages throughout their entire lifespan, with everything from injury management to Wellness programs. It’s no longer enough for us to keep saying “We have value!” “We are the experts!” We need to get people to actually get on board! We need to share our value in a way that people identify with! So…..then if we as individual practices adhere to EBP we will be successful as a group from the bottom up! I have personal goals to change the mindset of America in their approach to Healthcare. I believe only one way to do that…Bottom up!…. The top is to effed up…I believe that I can do it. We need National recognition of Physical Therapy. YOUR UVP is how you exist. Private Practices ARE currently surviving on their UVPs. I believe the future holds true for those who continue to practice Evidence Based Business (EBP), including Branding, Sales and Marketing. The current failure of almost all the Private practices I know are due to not adhering to EBP. I dont necessarily disagree with your post. Until we are all adhering to best practices its gonna be hard to make arguments based on that assumption. As someone who is not myself a practice owner, I think I took something slightly different from this post than most. From a Meta level, I think everything that Jerry wrote applies not only to each individual PT practice, but also to the profession as a whole. I think the physical therapy profession needs to refine its value proposition and work to improve the public’s perception of what we do, what our value is, and what our core values are. In essence, I think we need to start treating the profession as a whole like a business! It is an interesting thing to think about, and several people have mentioned it here…we as a profession need to get clear about the value of physical therapy, and then share that value in a meaningful way with the public. For too long, marketing and sales have been looked at as dirty words by our profession. We need to get really clear on the fact that patients are consumers, and start addressing them accordingly. Glad to hear that was your takeaway. You’re right on with EBB. Lean methodology is being adopted (with success) in nearly every type of business, and yet healthcare is yet again resistant to change. I think those of us that are ahead of the curve and implement the framework laid out by the likes of Eric Ries and Steve Blank will be ultimately be successful. Anyways, I’m looking forward to reading more. Build unique businesses that provide Physical Therapy, not Physical Therapy businesses. Right, Jerry? That is a lesson for all here! 1. to position ourselves for our ideal clientele. 2. to reinforce all the attributes that will set our practice/agency apart from our competitors. 3. to control our business identity and if we don’t we allow our competitors, insurance companies and public to define us. We cannot afford for others to define us. 4. absence of UVP from core business plan can lead to lack of consistency & it gets confusing to our target clientele and even to us & those who influence them leading to lost business opportunities. Our UVP must be able to affect client’s feelings, that is, we have to get into client’s mind for them to quickly recognize and respond to our message…for example selecting most appropriate business name (something memorable, something that sticks). Our consistent follow through of our UVP helps to build trust. I’m really happy that this group was formed because some people begin businesses with unrealistic expectations and mentoring, collaborating is vital for progress. I hope that everyone reads Pedro’s description of his practice – the history behind it, his vision to do something new…the fact that he reached his goal and now directs a clinic of not just PT’s, but MD’s and other healthcare professionals. This is the kind of innovation we need to see in the US!